Milos found tracks of a wolf pack, four or five animals, in the same area, so we’ll focus further surveys there. Following the tracks of last week’s group we saw tracks of many animals using those tracks, saving energy by not walking through deep snow. 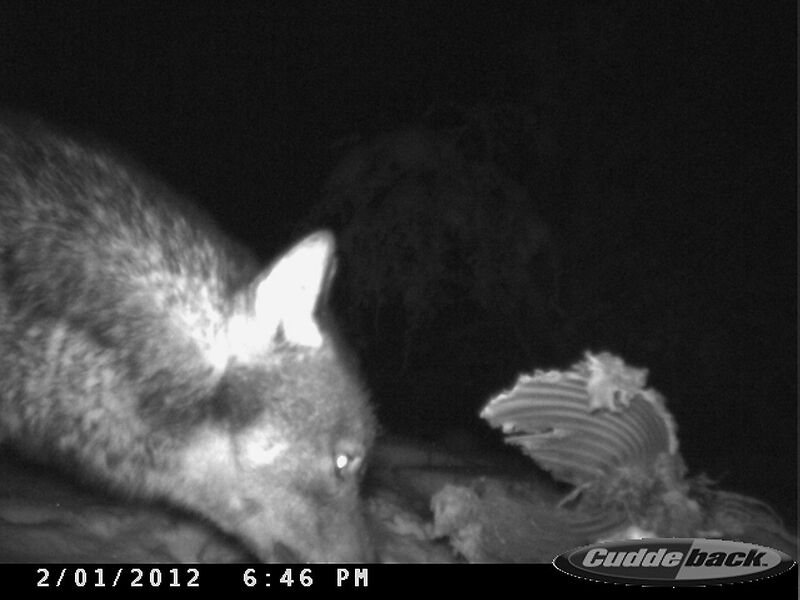 Fox is everywhere as well as pine marten and, of course, red deer, roe deer and wild boar. After some snowfall on Monday we were hoping to finding fresh tracks and indeed found three of lynx on different spots on one route. Unfortunately there was more snow during the following night covering the footprints, so we couln’t investigate furrther. In summary, group 2 found seven tracks of lynx, five of wolf, three of bear, two new carcasses and changed the location of four camera traps. 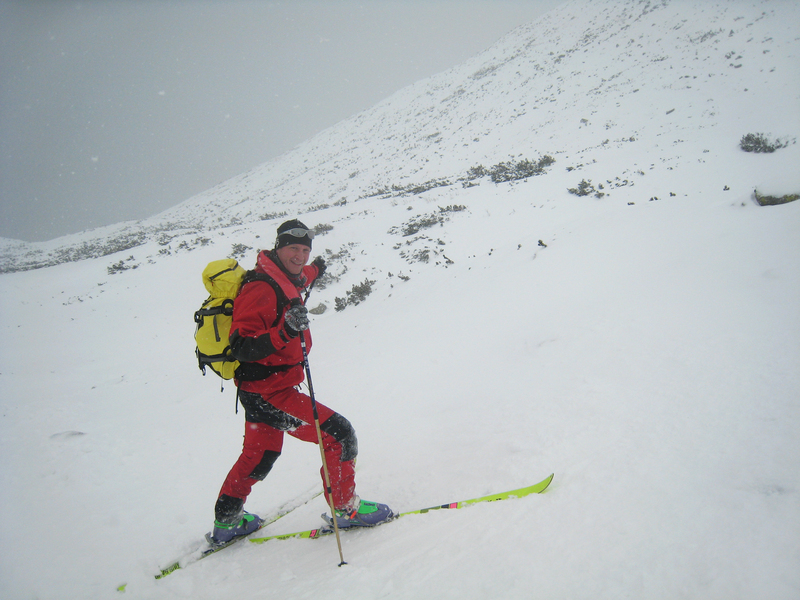 We’ve had tough ascents to the ridges, funny descents in deep snow and stunning views to the mountains around us covered with snow. Now we’re waiting for slot 3 arriving tomorrow to find us some lynx to collar or at a picture of. Elusive buggers 😉 While we wait, I’ve uploaded the “expedition life” video below. 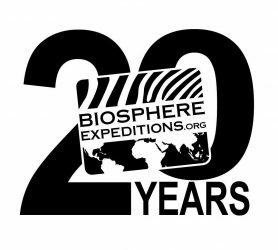 2012 Biosphere Expeditions magazine now out! 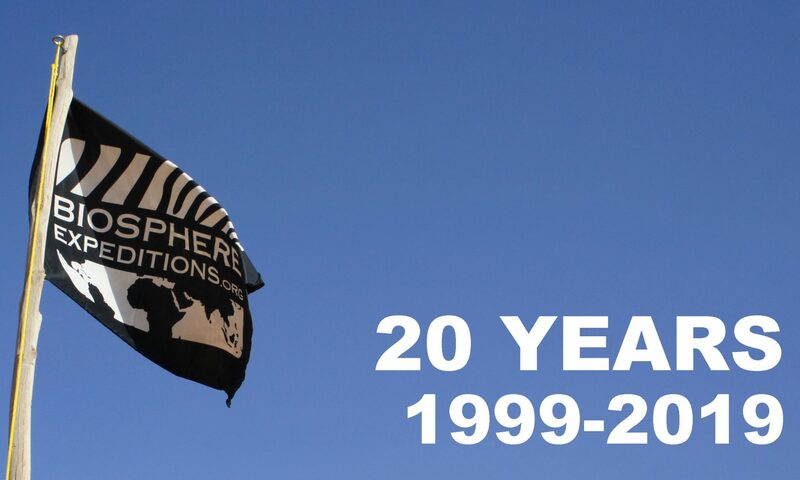 Our 2012 Magazine is now online at www.biosphere-expeditions.org/magazine. The Magazine is on a marine theme with articles from the Azores, Malaysia, Oman, Western Australia. We’ve covered a lot of ground over the last couple of days. As there is new snow cover, everybody was keen to find fresh tracks. Obviously it’s not that easy to define tracks in the soft and deep snow. We had to learn that smart wild animals save their energy and do not roam around very much in those kinds of conditions. But we’ve had a good laugh or two seeing a team-mate getting stuck in the deep white stuff! Yesterday Astrid, Martin and Tomas found two lynx paw prints, apparently an adult and a young animal. Following the tracks they then detected a resting place underneath a rocky overhang. The perfect spot for one of our camera traps. After a couple of days with freezing wind and deep snow, it will be easier tomorrow as the temperatures are forecast to go up and everybody is now used to the terrain. All groups have spotted single or groups of roe deer, as well as red deer. Linda, Martyn and I found fresh bear tracks and possible den site. Starting yesterday’s surveys in minus 29 centigrade (!) in the morning we found several tracks – what happens then, Louise and Pat show us in this video. Tomas went out with James and Marcel to collect some camera trap memory cards. Apart from approximately 170 pics of a jay (Garrulus glandarius) getting fat on a deer carcass we photographed a wolf and a common buzzard. Summing up this week we found tracks of three bears, at least seven wolves, three lynxes, three roe deer carcasses (one was killed by lynx, two by wolves). 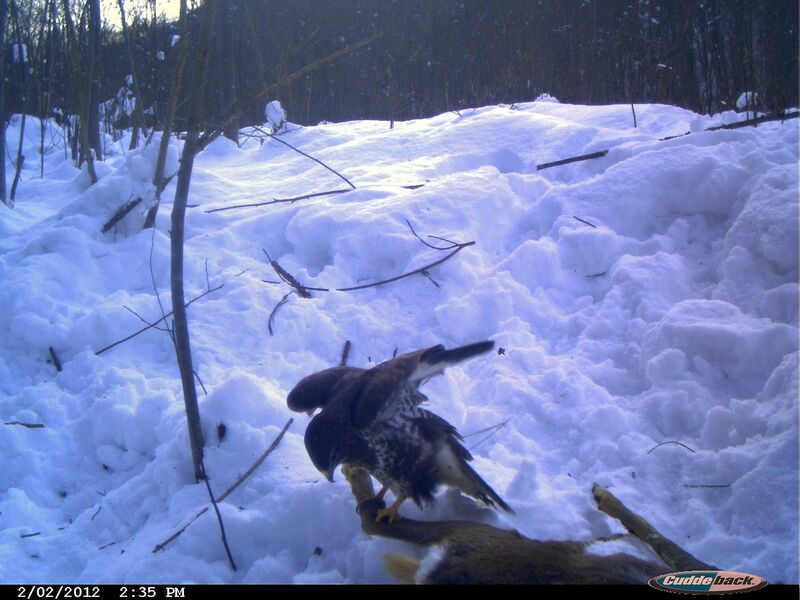 We’ve spotted golden eagle (Aquila chrysaetos) and 28 more bird species and found tracks of 16 mammal species! We put out all our camera traps and surveyed more than 125 kilometres! A BIG thank you to slot 1, it was great having you here, I think this was for all of us a ‘cool’ expecience. See you again sometime. P.S. : The weather forecast for the upcoming days says minus 14 during the day and minus 20 in the night, cloudy with cold wind. Exepdition scientist Tomas Hulik talking about how Biosphere Expeditions volunteers can help with his lynx, wolf & wildcat project in the Carpathian mountains of Slovakia. After successful training sessions on Sunday and Monday, we split into four teams today. The surveys mainly followed forest tracks in deep snow and provided immediate excitement as Pat, James and I spotted two lynx tracks just 300 metres from the main road in the valley of Velka Fatra National Park. 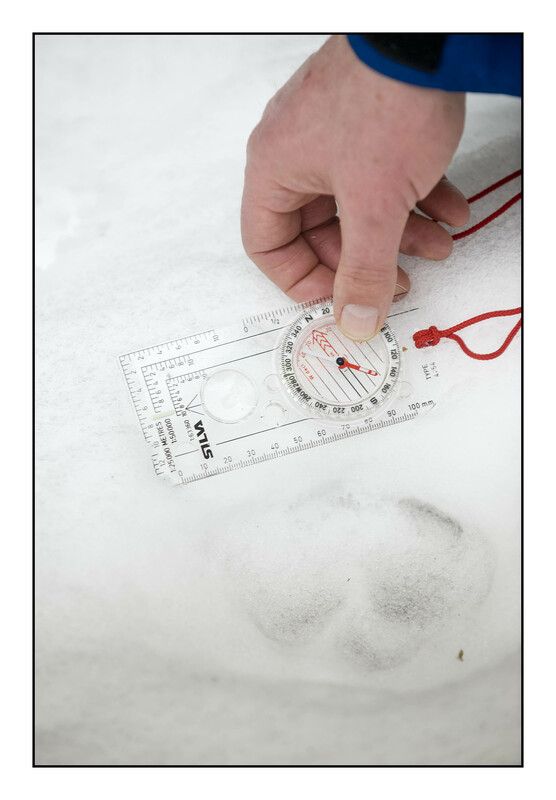 Our tracker Milos found wolf tracks on one of the ridges and later a roe deer carcass, killed by a wolf pack! The foresters’ report was that there were no wolves in the valley due to the amounts of snow, but we could prove otherwise, so that’s a nice example of how on-the-ground research can show long-held beliefs to be wrong. David, Marcel, Rudolf and Tomas found bear tracks, also close to the main road. Hopefully this was not all just beginners luck! David (with snow shoes) was brave following Milos (on skies) for 14 kilometres setting up two camera traps close to the wolf kill and their tracks. 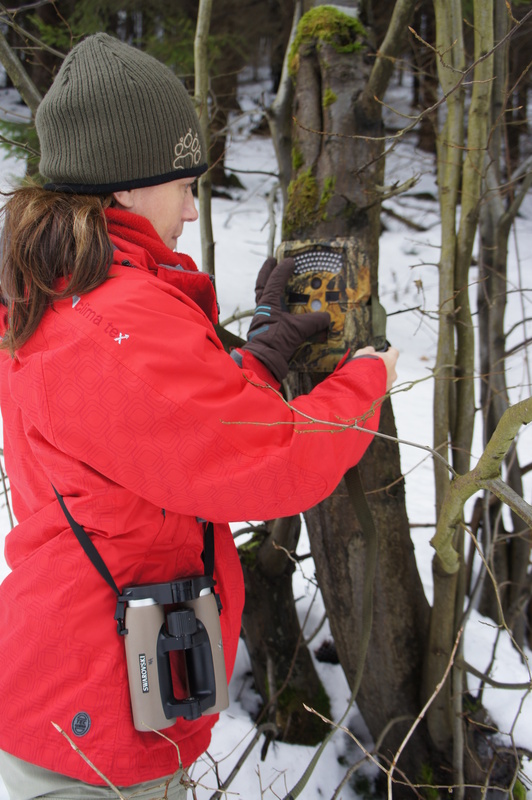 The other team covered between 5 and 7 kilometres on different routes again finding tracks of bears. They should really be in hibernation now, but Tomas thinks some of them have become active as it was quite warm in the beginning of January. The foresters reported a sighting of one wolf and have found another carcass and at the same time we received message of a carcass close to the lynx tracks! So we placed camera traps everywhere and can’t wait for the results! Everybody is doing a great job here walking in deep snow uphill, downhill in minus 20 centigrade with frosty breezes!